Adobe Photoshop – Adobe is world’s unprecedented creative and multimedia software tycoon. And for Adobe, Photoshop is the flagship project that redefined the way images are edited and treated. Over that, it revolutionized the graphic designing vertical which further inspired millions of artists worldwide. Over the years, Photoshop developed from a small photo editing tool to an Industry leading software that dictates the global graphic designing and multimedia industries. With every new version Adobe introduces in the Photoshop, the graphic designing communities wait to check out the next big leap where Photoshop can take them. 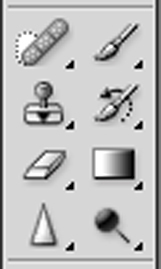 No matter how many versions and whatever new feature Adobe may introduce with Photoshop, in the chronicles of development there were few tools that were tested with time and remained sturdy and highly important. They define the importance of Photoshop and cope up with changes in the technological world. 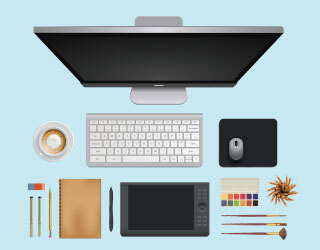 Designers love to work on these tools, regardless of the way they put it to use in correcting images or designing a brochure, website or even a mobile application. The list of top ten tools and features are proved as the best of Photoshop. So, how did Photoshop replaced the commercial paints and taken over the Industry overnight? The advantage of a software based designing was beefed up with the layers palette. It extends the artists the power to gain total control over anything and everything that he is working on the document. With Layers palette, you can draw or design various elements of your document independently in layers and stack them up as per the order of display. With this advantage, control over every single object is catered at the click of a mouse. Mistakes happen, but the effects of the mistake are limited to the part of the canvas, you can choose to work on the particular part and leave the rest of the canvas as it is. This benefit is lacking in the traditional painting method. Artists are not allowed to relax at any part of the drawing or painting, once their concentration is diverted and a stroke of painting goes wrong! They are bound to change the whole canvas. Apart of the above merits, a layers palette has grown into a dominating feature along with Photoshop in these years. It comes with layer masks, blending modes, opacity, fill, lock, group and many other options that add more value to the Layer palette. Without Layers palette, the control of Photoshop cannot be imagined today. Photoshop’s selection tools are so handy to use that designers worldwide are addicted to the set of selection tools Photoshop offers. Though there are a bunch of competitive software and open source software designed to give tough competition for Photoshop. Users are still stuck with Adobe’s torch bearer software due to the ease its tools provide. Selection tools make life easy for photographers, Graphic designers and every professional that is associated with multimedia. The precision of selection has been improved over years, and the detail we obtain is fabulous. The set of Lasso tools that uses manually, pixel color and hands-free selection process are all intended to serve the purpose of various industries depending on their workflows. In the recent years, Photoshop proved successful in creating selection tools that can easily select furry animals or hair. Over time, designing communities expect photoshop to improve the selection tools to help designers catch up with the demanding speed. When we look back in time where multimedia software is shipped without a pen tool, we remember the software are nothing more than a bunch of color palettes. There isn’t much available to do, and the creative ability is uninspiring. Today, Photoshop cannot be imagined without a Pen tool. Though pen tool by nature works for drawing paths along with the anchor points, the creative scope it provides is limitless. The tool is designed so flexibly, that the designer can draw any shape or edit the existing shapes as good as he is using his bare hand. The amount of control we have through placing the anchor points in the right places is taken further with the three types of Anchor points that can allow you to draw and edit paths precisely. In a raster-based graphic design software like Photoshop, working on an object without losing its original quality is a boon for the designers. Photoshop’s shape layer does the job for us. The outlook of the shape layers in Photoshop may be limited, but the capabilities of the feature go a step further than what we assume about it. In the traditional marquee selection tools, the selection is limited to the raster process and in many cases, the output will result in the sharp pixilated edges which are never good looking. But the shape layers can act as an individual object within the document with its attribute to maintain the finest quality. A shape layer can be easily edited with the help of pen tool or a direct selection tool and still retain its original quality. The colors inside the path can be changed anytime, and shape layers can also hold gradients and many other effects within them. Another feature that stood at the time and lived on the top is the layer masking tool. Though there are many other tools which are introduced after the layer mask; the tool preserved its importance. 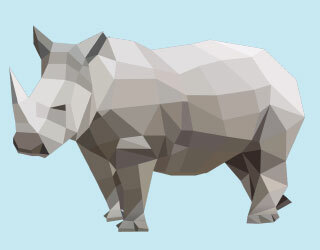 The layer masks create a masking portion of an object by using the grayscale color combination (Shades of Gray). Once the masking part is done, the area of the object under the layer mask disappears. For fresher’s, layer mask may look like a dry and non-responsive subject. But, once the subject is grasped and they start to use the black and white colors within the masking layer thumbnail they enjoy the ease it provides. There are many ways layer masks can be controlled. The user can directly fill the colors to mask the intended area of the object. 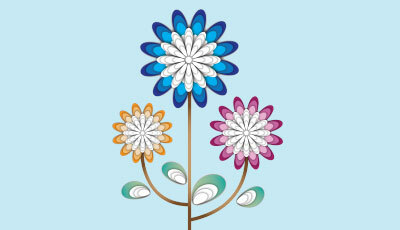 It is possible to draw the masking color with the help of brush tools to gain manual control. A single colored gradient mask can also be applied for a smooth transition effect. 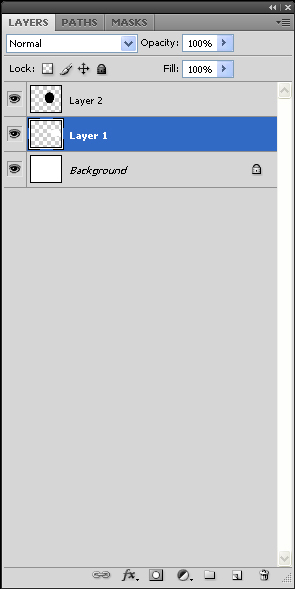 Users can also play with the erase tool to have control over the filled color. In its recent versions of Photoshop, layer masks are further powered with the control on feathering, contrast and density. In the late years of the last century, when the world is slowly shifting towards the web technology, Photoshop quickly understood the need for bringing a tool that helps the web designers, companies and the users to access a website quickly and effectively. In an age of telephone dial-ups, where there are no broad bands or Wi-Fi connections and when a homepage used to take ten minutes to load. Slice tool was introduced to snip the images into slices so the loading time of a website can be mitigated to a greater extent. The tool helped the designers to a great extent and was one of the important milestones in the development of the web technology. The slices were later used in Adobe Dreamweaver or HTML to upload into the websites. Though there are high-end broadband connections and HTML, CSS are ruling the web markets; Slice tool still maintains its importance in the world of web. As the name itself suggests, Photoshop is a software intended to edit raster images and mostly used for correction of images at the initial stages. As the tides of change hit the technological word, Photoshop has extended to every industry including Print, 3D, The Web and a lot more. But the name remains the same as Photoshop. The photo editing tools that are developed over time have gained their importance in graphic designing and photography world. Retouching tools are an accumulation of various tools such as Stamp tool, Pattern Stamp tool, Spot Healing tool, Healing tool, Patch tool, Redeye tool and much more. Though the numbers are more, every tool has its importance. The development of retouching tools did not happen over night. Adobe was working hard identifying the problems of the photographers and finding the solutions for the problems from time to time. The tools were proved highly helpful for the lasting problems that are facing photographers. Tools like Redeye, patch tool and healing tools came so much handy for graphic designers and photographers that they brought down the manual work for almost hundred percent. The manual work which was carefully done for a long time was simply managed in a click and drag. The attribute that made Photoshop the number one multimedia and Graphic designing product in the world is its quick adaptability to the changing technologies. Adobe has proved this time and time again in the last two decades. When Adobe understood the world is moving towards web technology, they are quick in finding solutions that are badly needed for the web industry. Equally in the recent years when there is a boom for the 3D Industry, Adobe found the right spot. Before the Introduction of the 3D feature in Photoshop, creating and drawing textures was a herculean process that designers have to go through at every step. 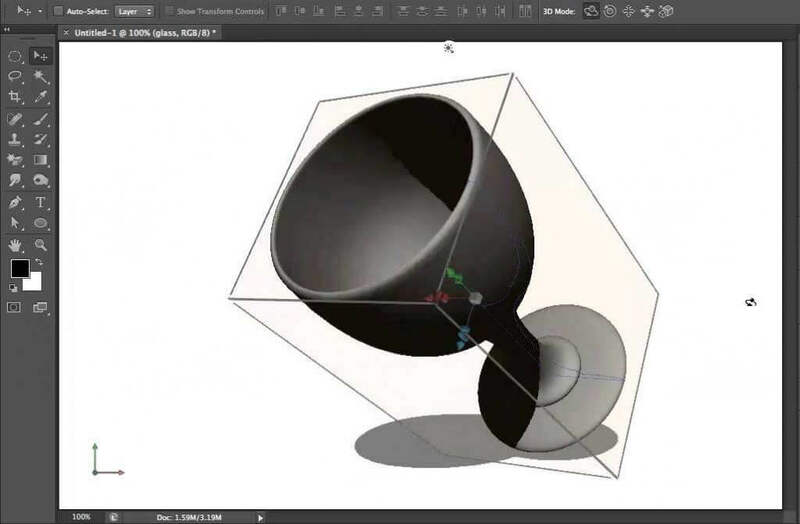 With the Photoshop 3D, users can directly import the 3 Dimensional objects into Photoshop through the cloud program and draw the textures directly on the Photoshop canvas. You can even play the series of images related to the 3D object and choose the pose and facial expression from the animation, within Photoshop. In some recent versions, it is even possible to create 3-Dimensional objects within Photoshop and texture them on the same layout. Though Photoshop is making great changes in the field of multimedia, there are always some limitations for everybody. The raster file pixelation is one of the major drawbacks Photoshop was trying to solve for a long time. Adobe Illustrator is very famous for its un-destructible quality through the vector graphics. 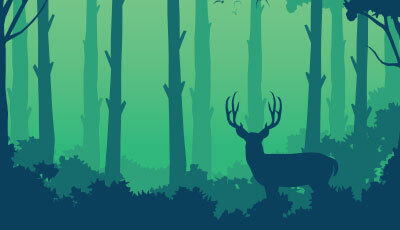 However, the vector graphics are limited without highly detailed images as in Photoshop. But, images are randomly losing the quality as they are resized. 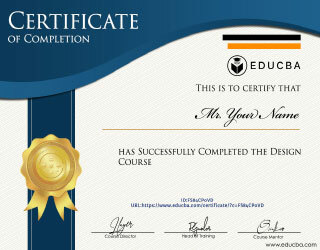 Users have to be very conscious with the photographs and raster images they use in their documents. In any case of resizing a smaller image to a larger size the quality is compromised. Smart objects came to the rescue of raster files, and it offers more than just preserving the data. They intelligently remember the data of the image file and bring its data back to the original form after resizing the object to any size. Along with that, using a smart object helps the designers to save the time and effort by remembering the changes to the object and applying the same changes to the same object if used anywhere else. Adobe has introduced the creative cloud advantage recently, where users have access to the entire empire of Adobe software. While our point of discussion in this part is about Photoshop, I have to limit to the advantages of Photoshop within the creative cloud. Adobe works on updates, additions and fixes of the software from time to time. Earlier, users have to wait for almost two years every time to check the updates in the latest version. But, if you are using the Photoshop CC, you can download the updates as soon as Adobe introduces it and there is no waiting for two years. Another popular advantage is the cloud. If you are out and not carrying your laptop and you want to access the image suddenly from your friend’s laptop! An impossible thought to make before the advent of cloud computing. 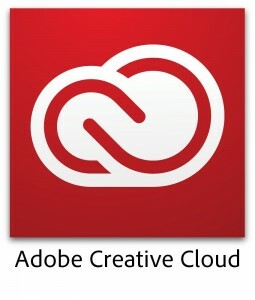 Now, it is possible if you choose to save your file in the Adobe cloud. Your files are still safe, and you are allowed to access your files without carrying them. 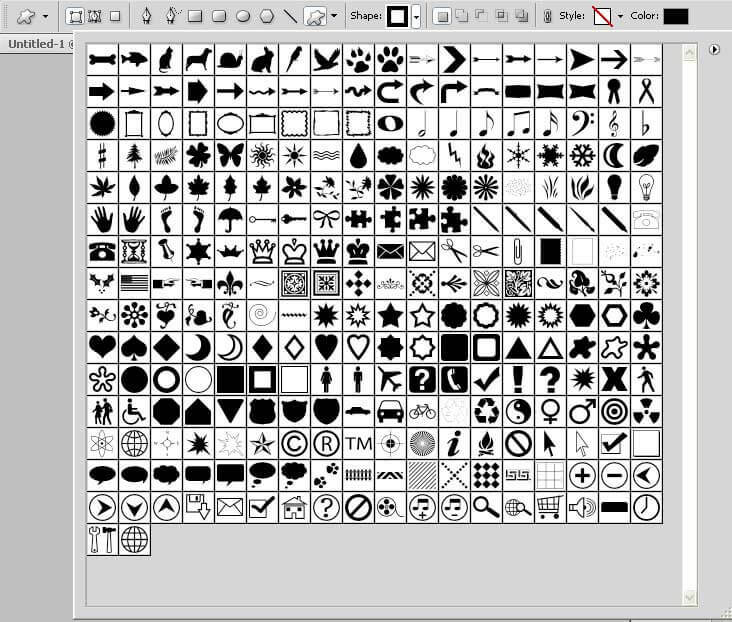 Photoshop has been mesmerizing us for years with incredible designing tools. We hope the software will add more feathers to its hat in the coming years. Until then, the top ten features of Photoshop will help designers in inspiring and delivering more every day.